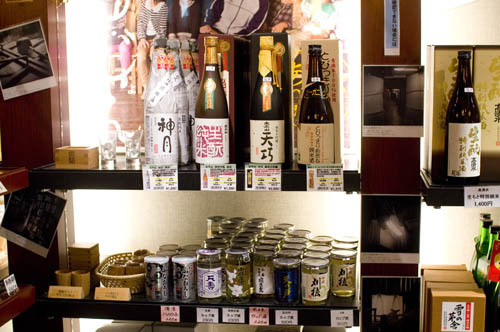 This medium-sized prefectural antenna shop carries a good selection of sake from Akita as well as assorted local foods - mountain vegetables, pickles, and kiritambo (grilled pounded-rice cylinders). 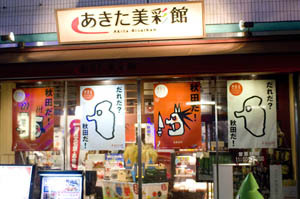 The attached restaurant in back serves regional Akita cuisine, although the food can be hit or miss. 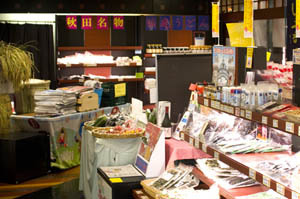 Minato-ku, Takanawa 4-10-8, Wing Takanawa West-3 1F.